Training and year-round advocacy organizations play an important role in our political ecosystem, and may be the key for taking back Congress in 2018. And, in the 21st century, the spotlight has never shined so bright on our Representatives as it does in this digital age. This provides a fantastic opportunity to engage our representatives even more, to mobilize around legislative votes, and to make sure the most disconnected communities are heard. But there’s a problem. Our electorate isn’t organized. It isn’t trained. It’s just ready to act! This collective action problem poses a unique organizing challenge. How do we engage communities that have been left outside the fold? How do we organize in rural areas, where fake news corrupts and resources are thin? How then do we fight against the odds, where districts are drawn to favor republicans, and racial tensions have exacerbated the politics of fear? The following organizations that have rose from the ashes of the 2016 election have been created to address these specific problems. They are lead by Obama, Clinton, and Sanders campaign alums. They are inspired, furious, and in some cases, well-funded. They are challenging elections in every state, activating new candidates, and sharing tactics. Some of them are established training programs, others are just networks of organizers working together to bring awareness and education to communities historically outside the fold. Our goal is to give you an introduction to these revolutionary organizations, and maybe inspire you to join a few. 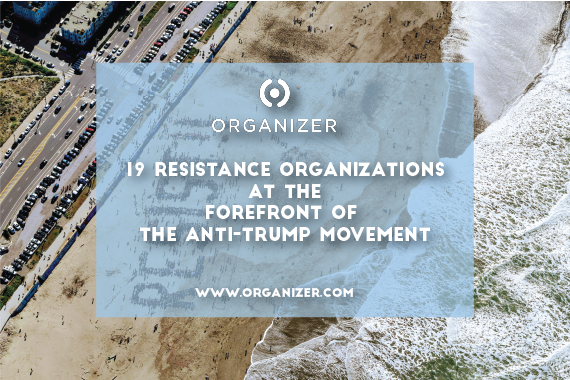 Let’s dive in and look at the organizations at the forefront of the resistance. “Campaigns end. 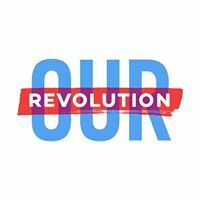 Revolutions endure.” Our Revolution is on the front lines of the #Resistance movement, harnessing the power of Senator Sanders historic bid for the Democratic nomination for POTUS. After some initial controversy, Our Revolution is armed with a new President, former State Senator Nina Turner, and a legendary board of organizers. It’s working towards Bernie’s dream for America, and is doing fantastic work engaging populations on the outside of the fold. Sign up on their website, go to an event, and donate! In 2016, Hillary Clinton won the popular vote for President of the United States (by almost 3 million votes)! That’s a scenario that’s been played out many times for Democrats at all levels of government for decades. The Sister District Project was formed to counterbalance that exact problem: the effects of rigged gerrymandering. They are harnessing the power of activists in deeply blue districts and channeling it where it can make a real impact. Metropolitan cities like San Francisco and New York or college towns tend to lean heavily Democrat. Whereas rural districts, like most of the country, are dispersed red districts that are cut off from much of the mainstream politicking. 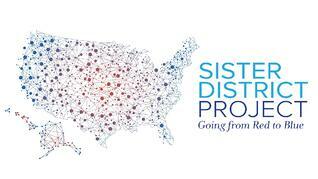 Sister District is changing that by looking towards 2020 as an opportunity to turn state legislatures blue, and ensure a fair redistricting process. Give a few minutes to support their work, and take a look at their endorsed candidates. Founded by a group of Bernie alums’ in the months following the election, #KnockEveryDoor is committed to the idea that real conversations matter. As a volunteer-led organization and guided by top strategists, they’re recruit, connect, and train volunteers to enter communities across the U.S and talk to them about the policy changes that need to happen to move this country forward. They use a technique, called deep canvassing, that’s been all the rage in academic communities for years. This technique utilizes 10+ minute conversations to dive into the inherent prejudices of voters, in a non-confrontational way, and has been proven to been more successful in changing minds than regular canvassing. Find an event and hit the streets! Swing districts are where the last candidate to win only did so with a thin margin. 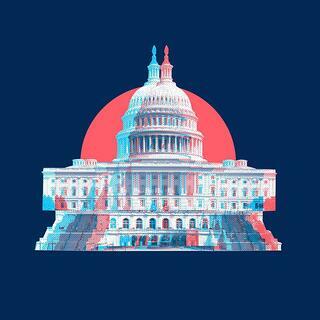 Currently, there are about 64 seats in the House of Representatives that are targeted as swing districts for the 2018 midterms, and SwingLeft is laser-focused on connecting organizers to start early work in those districts. The video sums it up, but in short: the 2016 election left us with Republican control of our states, with 33 governor’s seats and 71 legislative bodies. Using redistricting and voter suppression laws, the GOP has been able to successfully guide directions in their favor since 2010. Flippable was launched to address that problem by focusing on mobilization around state legislatures. Sign up for their email list and get state-by-state progressive candidates directly to your inbox! The Resurgent Left was founded, like many of the organizations on this list, from a group of angered activists in the wake of Trump’s election. 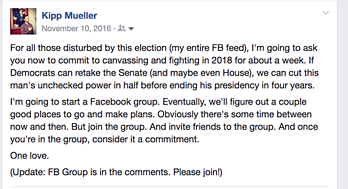 In fact, it all sprung up from a call-to-action on facebook just days after the November election, where over 500 people committed to knocking doors and organizing ahead of the 2018 elections. Since then, they have established two main goals: 1) to flip state legislatures and governorships blue to address the gerrymandering problem, and 2) to push the Democratic party towards a 50-state strategy by not ignoring a single district. 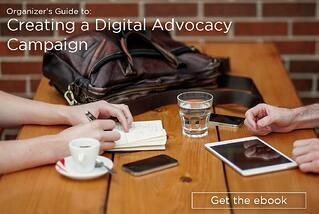 This is digital organizing at it’s best. 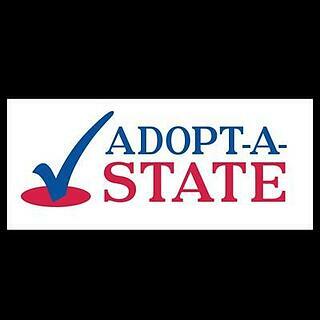 Adopt-a-state is an organization that connects activists and volunteers in blue states, with our fellow allies and activists on the frontlines in red states. Once you have adopted your chosen state, you’ll receive regular updates on political news, polling, and election analysis of that state. You will also be sent opportunities to take action, by calling into the state, donating, or participating in digital organizing activities. Additionally, Adopt-a-State goes further to organizing happy hours and meet ups on the east and west coasts to funnel more donations into red states that need it. 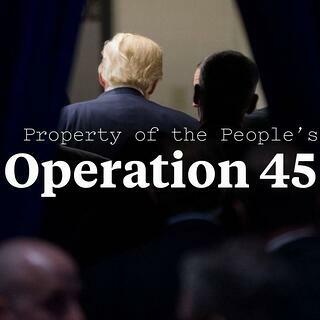 Operation 45 is a group of Freedom of Information Act (FOIA) legal experts and activists, working to keep President Trump’s (#45) administration transparent and accountable to the people it serves. The group is spearheaded by a nationally renowned expert in FOIA, Ryan Shapiro, and the group has been active exposing FBI/CIA activities on everything from surveillance to terrorism. Take action by signing up to receive updates, and donating to continue the work of suing the Trump administration in the name of government transparency! 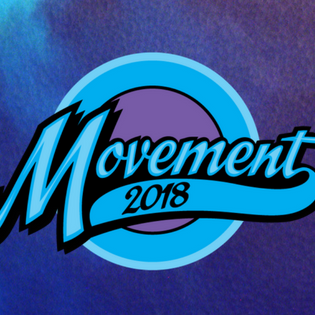 The Movement Voter Project, also known as Movement 2016 & Movement 2017, is an organization that scouts out and identifies progressive organizations, groups, and party operations where an extra $10 to $100,000 could create significant impact. The groups must organize year-round, rooted in the communities they serve, experienced, collaborative, and committed to voter engagement. Once identified, they funnel small to large donors and volunteers to support those organizations. Find a group or host a party and get involved! This organization is one of the most interesting on this list. Why? 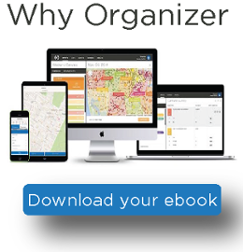 Because it demonstrates the power of digital and visual organizing in the 21st century. 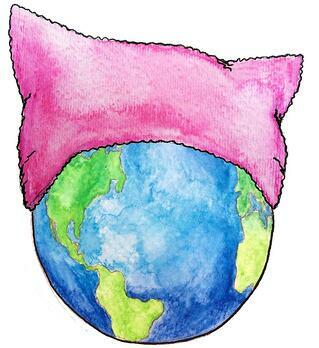 The PussyHat Project sprung up during the International Women’s Day Marches, which were only magnified by Trump’s election and the sexist fervor surrounding his candidacy, with the goal to provide a symbol of solidarity for participants. It was definitely successful, and it continues to be a symbol of resistance and women’s rights. So, how do you get involved? Knit one yourself or get one from a volunteer knitter, take a picture and post it with the hashtag #PussyHatGlobal to join the visual movement! The Latino Victory Project is working towards "where our community and our values are reflected in the leaders who represent us." LVP organizes communities and donors to support Latino candidates across the U.S, with a focus on restoring economic justice to the Latino community. Follw them on Facebook or Twitter, and join the cause! Founded in 2005, Emerge is laser-focused on recruiting, training, and supporting women running for office across the U.S. The program is 6-months long, and covers everything from organizing tactics to communications and fundraising. They’re expanding rapidly, and now have a presence in 22 states. To date, they’ve trained over 2500 women (39% of which is women of color) to run for office. Even more amazing? In 2016, 70% of their 214 alumnae on the ballot, WON! 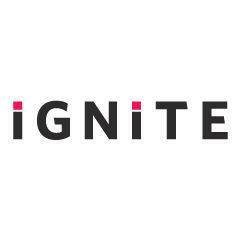 IGNITE was founded in 2010 by Dr. Anne Moses with the goal “...to build political ambition when girls and young women are forming their identities and aspirations,” and to address the representation gap for women in America. IGNITE targets young women from high school through college, and currently operates in California, Colorado, and Texas. 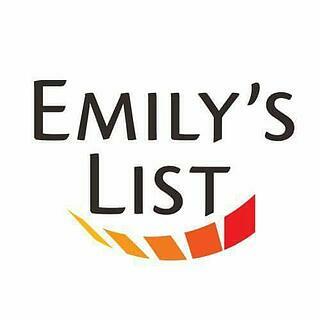 EMILY’s List is the largest and most prominent organization supporting Democratic women in politics, providing everything from training to fundraising. 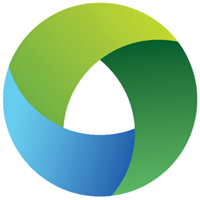 Founded by Ellen R. Malcolm in 1985, EMILY was originally an acronym, “Early Money Is Like Yeast” paying homage to the fundraising principle that early money is the hardest to get, and is used as a proof of concept early on. EMILY’s List is behind some of the biggest electoral victories for women in U.S history, helping elect over 100 women to the House, 23 to the Senate, 12 to the Governor’s Mansion, and 100s to state legislatures. As of 2016, the community is over 5 million strong. Starting out as a google document in the days after the 2016 election, this guide as grown to international notoriety. The Indivisible Guide is a practical guide to political advocacy, well, that actually works. It was written by former Congressional staffers and politicos on the most effective tactics for getting representatives to *listen* to you. 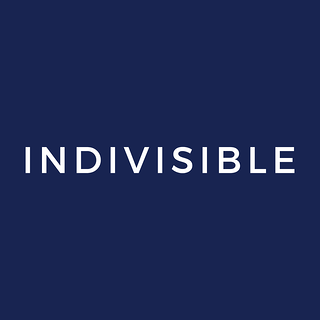 Since November, over 5,800 community groups across the nation (at least 2 in each congressional district) use the indivisible guide for organizing against Trump. 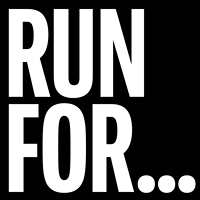 Launching in January 2017 in the midst of protests and anti-Trump sentiment, Run for Something was created for one specific purpose: building the Democratic bench with progressive candidates under 35 years old. They have been working to get potential candidates across the U.S. interested in running, putting them into training programs, and eventually on the ballot -- and guess what? It worked. 8,000 people have already signed up, so many, that they had to update their strategic plan after just two months. They are just getting started, and if you’re interested in running for office, you should sign up. For over 14 years, Wellstone has been the premier training destination for America’s most prominent elected officials, organizers, and community leaders. 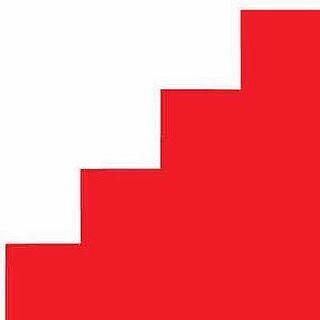 Their curriculum revolves around the Wellstone triangle: the belief that electoral politics, public policy, and grassroots organizing can be “woven together to create progressive change.” And change it has brought, with over 1,000 of their 86,000 alumni now in office. Women are underrepresented at all levels of government from local school board races to the White House. 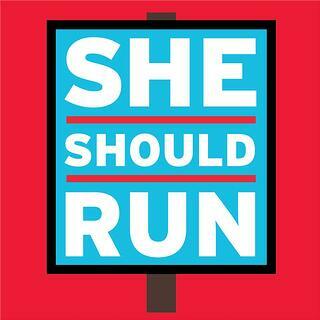 She Should Run was founded in 2011 to address this very problem. That’s why they started the #250kby2030 campaign to get 250,000 women to run for elected office by 2030. The organization is also one of the first to implement a program where supporters can nominate a woman to run for office! If nominated, She Should Run will reach out to encourage them to run, invite them to join their incubator, and provide them with the resources they’ll need to be successful. Higher Heights, founded in 2011, is a national organization building the political power and leadership of Black women from the voting booth to elected office. This summer, they partnered with some of the leading training organizations to put on a summer webinar series on running for office, and continue to work towards building a leadership pipeline of black women in communities across the U.S. They also launched a Salon conversations series, encouraging black women to come together and talk about the issues facing their communities and mobilize to address them. The election of President Trump has created a domino effect for activism. Organizations and volunteers are mobilizing unlike we’ve seen in decades. We have some of the nation’s most brilliant organizers and activists working on building the Democratic bench from the ground up, winning back Congress and state legislatures in 2018, taking back the White House in 2020, and finally restoring equity to the redistricting process. The Democratic Party’s 50-state strategy has never felt more alive than it does right now. The question is: will all of this organizing be enough? Do you know of any organizations that didn’t make it on this list? Write in the comments to email us and we’ll add them!